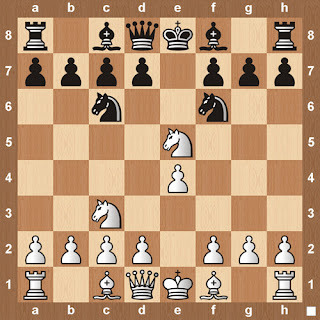 Play the Halloween chess gambit to scare your opponents! Have a real fun Halloween and for all the chess lovers out there: Here's our advice! The goal of the gambit is to seize the center with pawns and drive back Black's knights. After 4...Nxe5, White usually plays 5.d4, in preference to 5.f4, which does not facilitate his development. Check out wikipedia for a starter pack on the gambit. Enjoy. 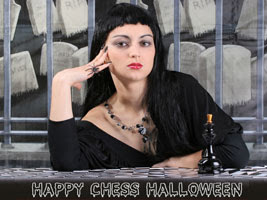 Also click on the photo below to check out all the Halloween photos of Chess Queen Alexandra Kosteniuk. Hey fantastic photos. Sorry the gambit is not my cup of chess. I want to live not commit suicide. Thanks for the gambit.